MINNETONKA, Minn., USA, June 18, 2018 – Syngenta Seeds facilities in Iowa, Illinois and Minnesota have been recognized for outstanding safety performance in the workplace. The Jefferson, Iowa, Syngenta Seeds production and supply facility was honored by the Iowa-Illinois Safety Council (IISC). For the second year in a row, the Jefferson site earned the Presidential Award in Hazard Recognition, one of only five recipients of this honor given annually by the IISC. Employees from the Syngenta Seeds production and supply facility in Amboy, Minnesota. Employees at the Syngenta Seeds production and supply facility in Pekin, Illinois, recently celebrated 10 years without an injury in the workplace. This achievement represents more than 670,000 hours safely worked at the Pekin site, which was also recognized by the IISC for continuous improvement with the identification and control of workplace safety hazards. The Minnesota Safety Council recently recognized the Syngenta Seeds Amboy and Dassel, Minnesota, production and supply facilities with its highest level of recognition, the Governor’s Award of Honor. This is the eighth consecutive year that the Dassel site has received this award. The Stanton, Minnesota, Syngenta Seeds research and development location was recognized with the Governor’s Outstanding Achievement Award, the 21st consecutive year that the Stanton site has been honored by the Minnesota Safety Council. 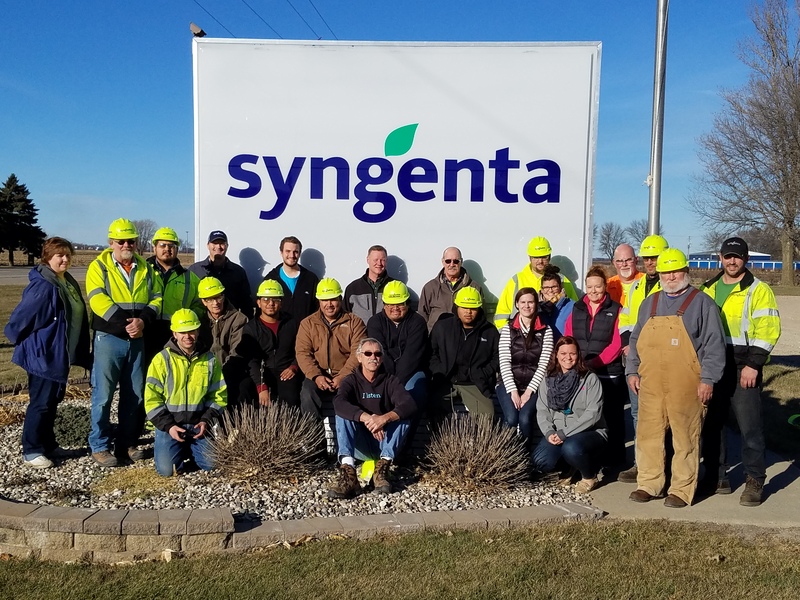 Earlier this year, the Syngenta Seeds production and supply facility in Danvers, Minnesota, marked 16 years without a workplace accident. June is National Safety Month. Sponsored by the National Safety Council, National Safety Month focuses on increasing awareness for reducing the leading causes of injury and death at work, on the road and in our homes and communities. According to Ana Davis, head of Health, Safety, Environment and Security for Syngenta, site safety achievements at these locations demonstrate that Syngenta employees put safety at the start of everything they do, all year long. “At Syngenta, we recognize that recordable injuries are more than just numbers on a page – they’re serious problems for real people, our people,” Davis said. “The health and safety of our people is a core value at Syngenta. As a leading global company committed to sustainable agriculture, we have a responsibility to protect the environment, and to ensure the health and safety of our employees, customers and the communities in which we operate. ©2018 Syngenta, 11055 Wayzata Boulevard, Minnetonka, MN 55305. The Syngenta logo is a registered trademark of a Syngenta Group Company. All other trademarks are the property of their respective owners.